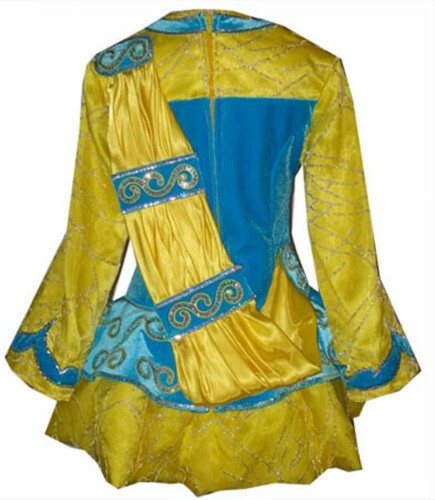 This striking yellow and turquoise dress is less than a year old. 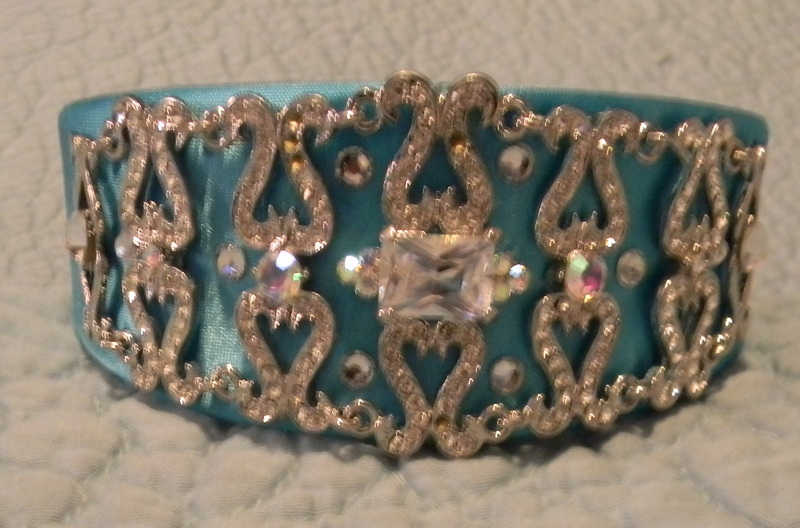 My daughter wore this at the 2011 Oireachtas, but she is growing so fast that it has gotten too short. 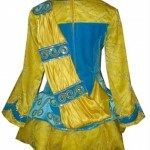 The dress is turquoise velvet with a fully lined, yellow sheer fabric with silver embellishments. 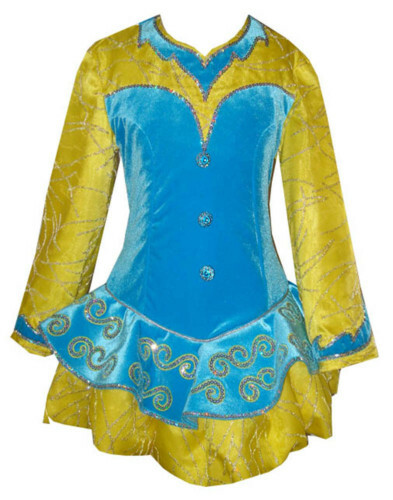 The dress is adorned with silver sequins and spiral designs outlined with yellow embroidery. The cape on the back is adorable. This dress is lighweight and comfortable and has always been worn with a full t-shirt underneath. 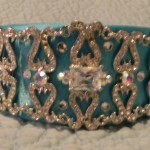 It comes with a turquoise and swarovski crystal headband and a matching number clip. Dress is in excellent condition.